The Daily Mercury advised on 6 November 1912 that Thorning and Dillon had purchased Froggatt's aerated water factory. 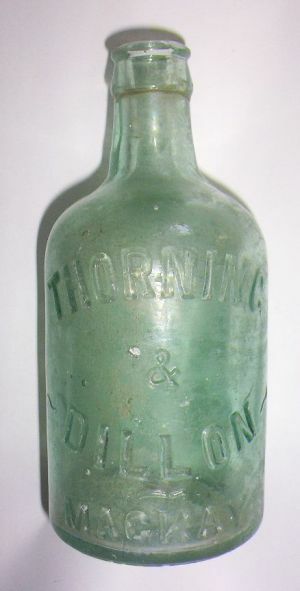 John Fletcher Thorning at one time owned a softdrink factory in Sarina with his younger brother George working for him. Joseph Edward Dillon had worked in cordial factoris in Bowen and Cairns. The partnership was shortlived and was dissolved on 25 May 1914. The Dissolution of partnership advertisement lodged in the "Daily Mercury" advised that Dillon would carry on the business in his own right. The Daily Mercury, (Monday, October 3, 1983). "Thorning Family Centenary"